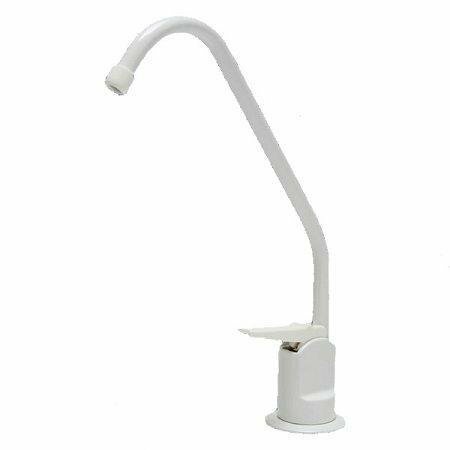 Standard White Non air gap long reach faucet compatible with Reverse Osmosis systems (non air gap) and undercounter water filter systems, faucet is all white plastic tip and handle. It is 8.75" tall and has a swivel spout with a reach of 5.5", for 1/4" tubing. Note: not to be used with Reverse Osmosis systems that require an Airgap faucet which has three connections on bottom of the faucet (this faucet has only one connection).